Welcome to Styles2you.com, an online women's clothing boutique that offers unique and stylish apparel. Enjoy our personalized shopping experience at your leisure no driving, no parking problems - just unique, funky, casual clothing that celebrates your sense of style. 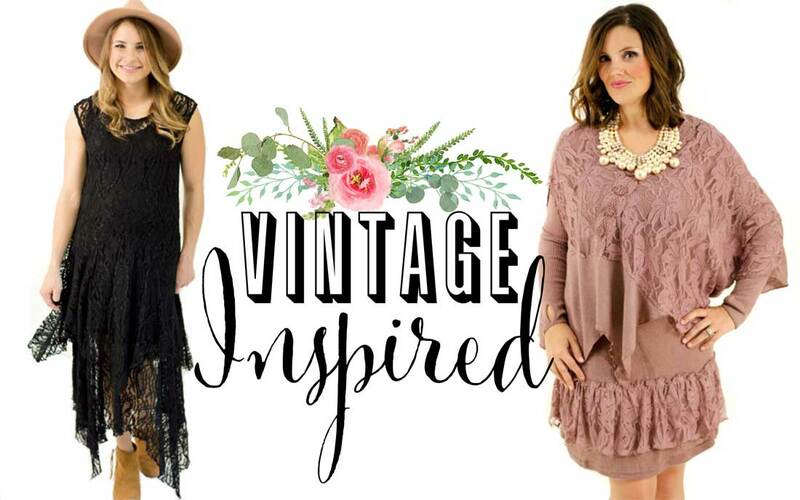 We specialize in vintage inspired, bohemian fashion, victorian chic and clothes that are as individual as you are. Styles2you is designed to be the anti-department store experience. We shop with an eye for trendy clothing and accessories that let you express yourself. Sometimes sassy, possibly vintage, often hand-crafted, but always memorable. At Styles2you, we think of ourselves as your Personal Shopper. We sometimes get to know our customers personally and scour the designer world for styles we know will please and flatter a wide range of sizes and shapes. Our staff takes care to find wardrobe essentials that make a bold statement; our clientele are not content to settle for ordinary. Whether you are looking for a ladies shirt dress, tunic, cardigan sweater, womans lace blouse, juniors fashion t shirt, ladies denim jeans, victorian leggings, fashion scarves, boho chic handbag, or trendy accessories - we have it. We carry women’s junior, misses and plus size clothing. We love to interact with our customers, and hope you ll join us on Facebook and share your good times in one of your Styles2you outfits. Striving to update your look? Visit us on Pinterest or Instagram for hints and ideas for creating a more fashionable casual wardrobe. And as always, thank you for shopping at Styles2you. We are proud to be a woman-owned business spanning two generations, and we delight in the satisfaction of our customers.